Save 10% off your first order at Ezpzfun.com. Use ezpz fun promo code provided at the offer page. Any parent of toddlers would agree how tiring it is to clean up after their toddlers mealtime. Because a toddler does not have the proper hand-eye coordination developed yet, that is why they make messes whenever they eat their meals. That said, it is easy to be concerned how much of their breakfast, lunch, or dinners ended up into them since it ended up everywhere else- their meals seemed to have ended up on their bibs, the booster seat or high chair, and on the floor. The one thing that any parent of little kids would absolutely love is a product that can help minimize the messes that occur during any toddler's mealtime. Or better yet, a product that can eliminate the mess so that the parents do not have to clean up a big mess anymore. And, once these parents discover the existence of the Ezpz products, they are going to be extremely thrilled. What Are The Ezpz Products? 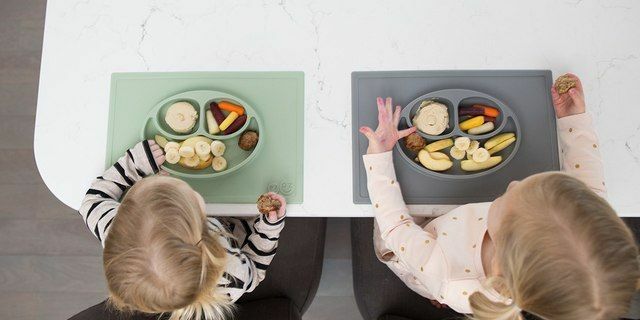 The Ezpz products are an all-in-one placemat with dishes or bowls which attach to the table or highchair through suctions. And it attaches to most materials such as plastic, glass, granite, and stainless steel. What they do is not only eliminate the annoying messes that happen during meal time, but the babies and toddlers will benefit greatly with any of these Ezpz products. Now, you are probably wondering how and when this brilliant creation began. You are about to learn about the story behind how the Ezpz products began. Like any venture, it all started with a dream and a vision. It all started in Birmingham, Michigan when a business-savvy mom of three boys (one set of twins) named Lindsey Laurain, and her husband wanted to help other parents out by eliminating the frustration of having to clean up their kids' meal messes. She got others from her circle together to discuss her vision and plan, and one of the people in her circles happens to be a speech and language pathologist, and a feeding specialist who was of great help to them. They wanted to create a business that sold all-in-one placemats with dishes and/or bowls and created a Kickstarter campaign to help make this vision a reality. And, in late 2014, the Ezpz Products was beginning to just become that. Ezpz is a fun and easy way of saying easy peasy. And, ever since then, they became established and began manufacturing and selling plenty of their unique products. Parents of older babies and toddlers that had discovered Ezpz were delighted to find this out because not only did these products eliminate the frustration of having to clean up after their kids' meal times, but they are thrilled that the materials these products are made of are natural and safe. Additionally, they are stackable and will not take up a lot of space in your cupboard. What Materials Are Used in The Ezpz Products? The materials that are used to manufacture the Ezpz Products are 100% silicone that is phthalate free and is also BPA, BPS, PVC free. That said, there are no odd and unsafe chemicals in these products. They are also dishwasher friendly and can be used in microwaves and in ovens. All their products are also built to last because silicone is bendable and flexible. Additionally, it does not corrode or fade, so they can be used for a long time and they can be reused over and over again. The other huge advantage of silicone is that it does not attract bacteria, viruses, mold, and fungi. Because this material does not attract the crud, it also would not support its growth. Silicone is also very easy to clean and only involves you using warm soapy water. Now that parents who are looking into the Ezpz products know what they are made of, they will want to know what kind of benefits come with them! Why the Ezpz Products Fits Every Dream That Parents of Young Kids Have? As it was mentioned before, the purpose of these products is to minimize the messes that the little ones make during meal time since these products are an all-in-one placemat with dishes or bowls. However, parents also like these products because they help promote self-feeding. With that said, the Ezpz products also help older babies and toddlers develop fine motor skills since the kids are learning how to feed themselves. The feeding specialist on the team helped design these products so that the kids can benefit from using them so that their development is nurtured. 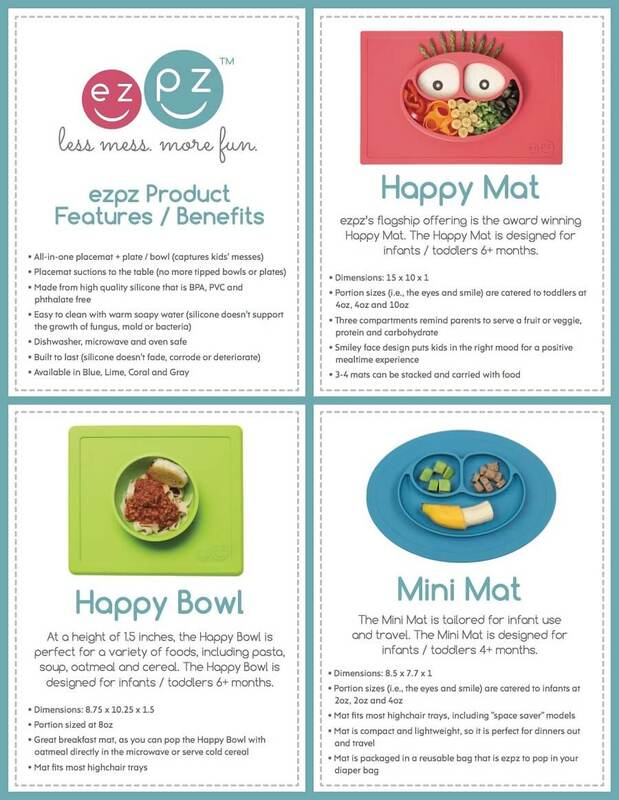 Ezpz products feature plenty of products such as the Happy Mat, Happy Bowls, Mini Mats and Bowls, and their unique Ezpz collection. Let's now take the time to examine each one, starting with the Happy Mat. The Happy Mat is designed for babies from the ages of 9 months and older, and it comes with a smiley face. Why? The smiley face means that mealtime is an enjoyable time. Not only that but the Happy Mat has 3 compartments, so mom and dad know to use one for fruits or vegetables, another for a protein, and another for a carb. That said this product is ideal for babies that have started eating solids. That means if your one-year-old is going to have chicken, peas, and pasta, then each one will go into the right areas. Or, if you want to give your baby some beef, carrots and a few whole grain crackers that are easy to chew. Or, if you want to give your baby a combination of chicken and beef, peas and carrots, and potatoes that are mashed up, you can place all of that correctly on the product. Additionally, it is proportioned as well so the correct servings will be given. You don't want to over or underfeed your baby. The dimensions of the Happy Mat are 15 inches by 10 inches by 1 inch. You can also stack 3 or 4 mats and carry it with food. Another thing to keep in mind…Happy Mat will not fit on the trays of most highchairs. In fact, it is best to remove the highchair tray and place the highchair right by the dining table. This way, the baby can enjoy having mealtime with the rest of the family and gain the experience of sitting with the family while eating dinner. Another bonus with this inclusion is that 9 months and older babies listen very carefully to every word that is being said. And they are paying close attention to conversations happening during your family meal, and that is how it will help them develop their speech and language skills. And not only that, the Happy Mat is there to help strengthen the baby's fine motor skills. That means the days of you feeding the infant baby food are almost coming to an end! The Happy Mat is going to provide your baby with an opportunity to become more self-dependent and confident. The Happy Mat, thus not only prevents feeding messes from happening, but it also helps with your baby's development. The Happy Mat comes in a variety of bright colors and you can pick and choose which ones will be the most appealing to your baby. And, again, it is very easy to clean thanks to the silicone material it is made of. You can save 10% off Ezpz Happy Mat using our exclusive Ezpz discount code. Now, let's check out the next product from Ezpz, which are the Happy Bowls. If your baby is 6 months old or older, then the Happy Bowl is a perfect fit. As soon as solids are introduced to babies, they start on cereal and work their way up. And, you can still certainly use it for older babies as well. The Happy Bowl will fit on most high chairs. The only time it will not fit is if you have a space saver on the highchair already. It is best to take measurements of the highchair before purchasing the Happy Bowl. That is because the Happy Bowl is designed for food to be placed in a bowl, and that means, this is the perfect fit for your child's breakfast. All you have to do is put cereal in the bowl whether it is hot or cold, and thanks to the all-in-one bowl and placemat combination, any messes that happen during feeding time will fall onto the mat. The same goes if you are planning to give your child some soup because this is the perfect product for a soup meal. Or, if you want to give your child spaghetti and meatballs, you can. However, the Happy Mat would be a better fit for that since you will want your baby to have a vegetable with that. With Happy Mat, you can have an additional compartment to put the vegetables. The dimensions of the Happy Bowl are 10.25 inches by 8.75 inches by 1.5 inches, and they come in a variety of colors. You will most definitely want to get the most appealing one that will intrigue your baby. And, if you have a close friend or family member that have babies, this could make a great gift for them. They will thank you for the fact you have given them a product that will promote self-development and eliminate those messes during feeding time. Enter Ezpz promo code and get 10% discount on your order at ezpzfun.com. And, Ezpz does not only make the Happy Mat and Happy Bowl. they make many other great products that will fit your baby's needs as well. That is why they have the mini mats and mini bowls. These are mostly ideal for families that are constantly on the go. 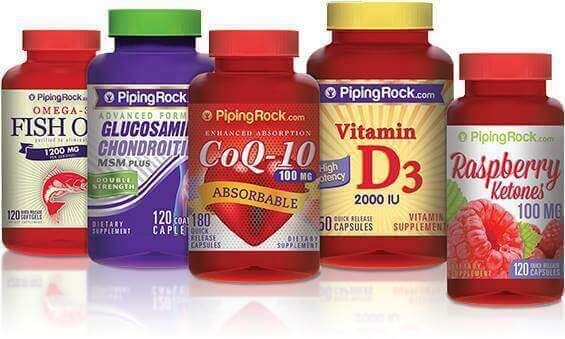 Let's take a look into those products further. The Mini Mat is designed for babies that are over 4 months old as well as for families that are on the go. Babies at 4 months don't generally start solids, but some are given the green light by the pediatrician to start. That said, a portion of cereal being given to a 4-month-old baby for the first time will be considerably less than the portion of cereal that is given to a 6-month-old infant. However, what is great about the Mini Mat is that its dimensions are 10.75 inches by 7.75 inches by 1 inch. This means you can fit it in the diaper bag easily when you are traveling with your baby. And, even if you are not traveling the Mini Mat will fit on most high chairs which includes space savers. However, be aware that the Mini Mat does not fit on the following highchairs, which are the Boon Flair, the Nuna Zaaz, Stokke Tripp Trapp, the Keekaroo, the Abiie Beyond Wooden High chair, the Ingenuity ChairMate (Easton), and the Safety 1st Beaumont. It is also not going be an ideal fit to the Oxo Sprout High chair because the high-gloss finish will prevent the suctioning. Now you will want to know more about the Mini Bowl. You can also take those when you are on the go, and the product dimensions are 8.5 inches by 7 inches by 1.25 inches. They will fit on most high chairs as well, except for the Boon Flair tray and the Stokke Tripp Trapp. However, before ordering you will need to take measurements. Plus you can save 10% off your order using our Ezpz coupon code. Ezpz has more products as well that you will absolutely love. Let's now look into the Ezpz Collection and what that entails. The Ezpz collection offers more fun products and parents will love these just as much as the babies do. The collection entails of the Care bears, the Nordic collection, the core collection, and the play collection. Who does not love Care Bears? You may remember growing up watching the program when you were little, and you probably remember Wish Bear who made wishes come true. You also may have remembered Funshine Bear who loved being around others to have fun. Oh, and do you remember Share Bear who encouraged others to share? You can get bowls or mats that are in the shape of those carebears in teal and marigold colors. The dimensions for the Care Bears Mat is 12 inches by 8 inches by 1 inch. The Care Bears Bowl is 9 inches by 7 inches by 1 inch. And, if you want to learn about what else Ezpz offers, you can check out the Nordic collection. Save 10% Off Care Bear Collection using our Ezpz promo code. These mats and bowls were created through inspiration from the Scandinavian countries. What is so special about these is that they come in pewter, blush, gray, and sage colors. This way, if you prefer the soft and chic colors opposed to the bright ones, then this is the best choice for you. They come in different sizes, and before you order the one you want, you will want to make sure it will fit the highchair. Take 10% discount on your order at ezpzfun.com using our Ezpz promo code. However, if this does not appeal to you, then you may prefer the Ezpz Core Collection products. If you don't want the Care Bear shaped mats and bowls or those from the Nordic collection, then you can look and see if the Core collection products are more of a fit for your style. That is because the mats and bowls come in cheery and bright colors that will make meal time a bright and fun experience. A few of the colors that are included in this collection are lime, coral, blue, and gray, and they are nice and bright. And, last but not least. If you love the idea of the mats and bowls having cool shapes, then you will love the Ezpz play collection. The mats and bowls from the play collection come in fun shapes such as flowers, which is really perfect for arts and crafts, as well as their toy-sized Micro Mats which are perfect for dinosaurs, dolls, and Legos. Enter Ezpz fun coupon to save 10% off your first order. Now you have learned a lot about the Ezpz products. You may be wondering if this is the right product for you, and what to do if you cannot clean it properly with soap and water. You already know that you will need to measure the highchair tray before purchasing any of the products. That is because not all of them will fit properly. However, if you have a table that is tiled or has a wood surface, or that has fractures, divots, or holes, then Ezpz products will not adhere those surfaces. That is because it will be a hindrance for the suction function. And, before putting the mats on any surface, be sure that the back of it is clean and is dust-free. And, don’t forget to peel the outer edge in order to allow the suction function to work. Additionally, if you find that soapy warm water does not clean certain spots, then you can clean it with white vinegar, which will take care of it. If you would like to buy one now, enjoy 10% discount on your first order at Ezpzfun.com. Use ezpz promo code provided at the offer page. This coupon is limited to the first-time customers. Now that you are aware of what is offered through Ezpz, and you feel that this is a great product for your baby, you will want to know where to purchase the mats and bowls. The great thing about Ezpz products is that they are sold in most stores around the world that sell kitchen related products. You can also order any them through Amazon. However, you can save 10% Off your order at Ezpz website using our Ezpz coupon. Even though the website is based in the US, you can order it from there and it will be shipped where ever you live. If you join their mailing list, they will send you newsletters that will contain information about discounts, sales, and anything else exciting. If you have a baby or a toddler and want to help them develop their fine motor skills, and you are tired of the messes that happen during feeding time, then Ezpz is the solution you are looking for. Ready to buy one now? Use ezpz promo code provided at the offer page EzpzFun.com to claim your 10% discount! Also, checkout Ezpz fun sale items with higher discounts. Ezpz coupon is limited to the first-time customers.